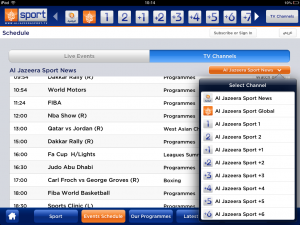 HomeBeIN Sport UAEChannelsGuidesSportUnblock BeIN Sports in the UK, USA or anywhere! Unblock BeIN Sports in the UK, USA or anywhere! Provided you use a valid address the phone verification is irrelevant.Also, to ensure you receive english commentary you need to subscribe to the full package and not the basic sports package. Thanks to Masm for the information. Thanks for visiting this article. Today I am going to show you how to sign up and Unblock Bein Sports (formerly Al Jazeera Sports). 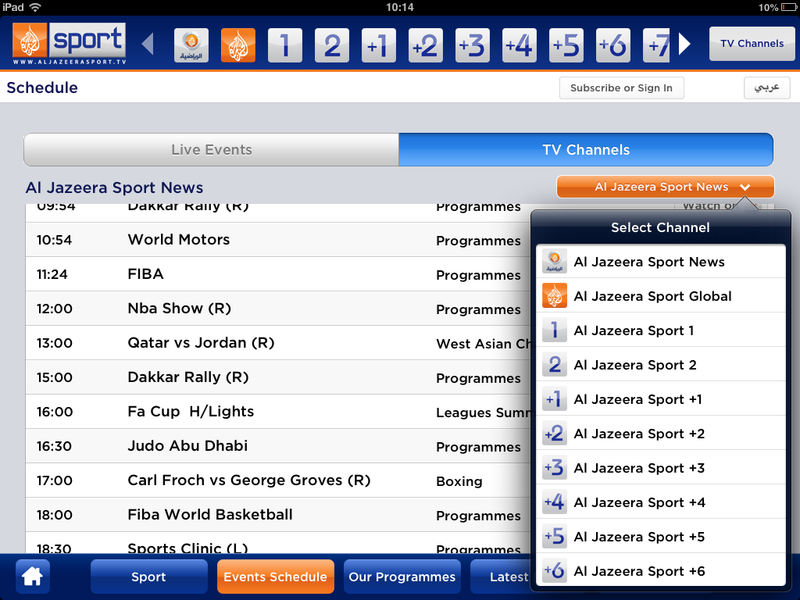 BEIN Sports is a an online service to catch the latest sports events. BeIN Sports is a great option for the English Premier League, but it also shows loads of other sports evens such as Champions League, Europa Liga, La Liga, Serie A, and Formula 1. 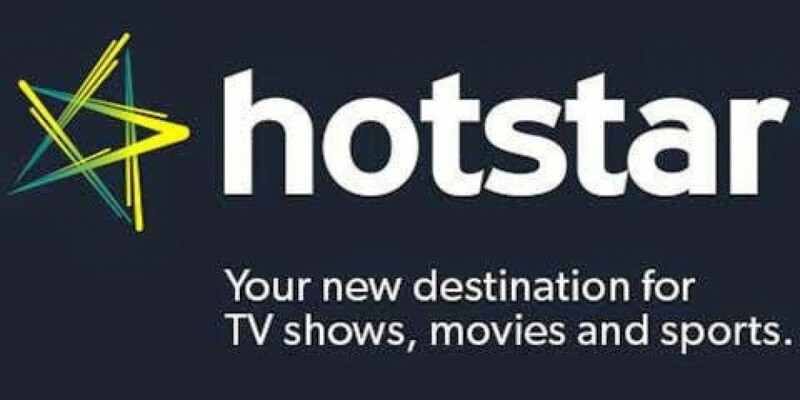 The channels are broadcast with English and Arab commentary provided you purchase the full package. 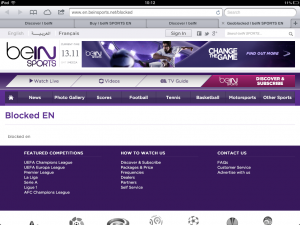 IN order to watch Bein Sports outside the Middle East or North Africa, you will require a VPN or DNS service. In my experience, whilst most offer servers in said areas, that does not mean that they are capable of the heavy load required from multiple users streaming in HD from halfway around the glove. Read that as not all VPN or DNS providers have appropriate servers for BeIN Sports, but the ones below have all been tested by UnlockWorldTV for access to BeIN Sports. In this section, I will simply cover the signing up process on your PC or Mac (although it should work from any device, I am not dealing with getting the applications required for tablets or phones in this post). In August 2016 the Paypal payment method was removed. In order to subscribe you need to use a non locally issued credit card. Users seem to have mixed luck with cards. One user confirmed a UK issued HSBC debit card worked without issue, and another that Entropy worked for them and another a random UK credit card was accepted after another was declined. I say keep trying as there seems to be no hard and fast rule. So, if you want to Unblock Al Jazeera Sports, or watch BeIN Sports Outside of the Middle East then you are most definitely going to need a VPN service. 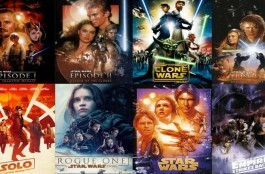 I have listed some below that i can personally recommend but feel free to use your old friend Google to check for more. 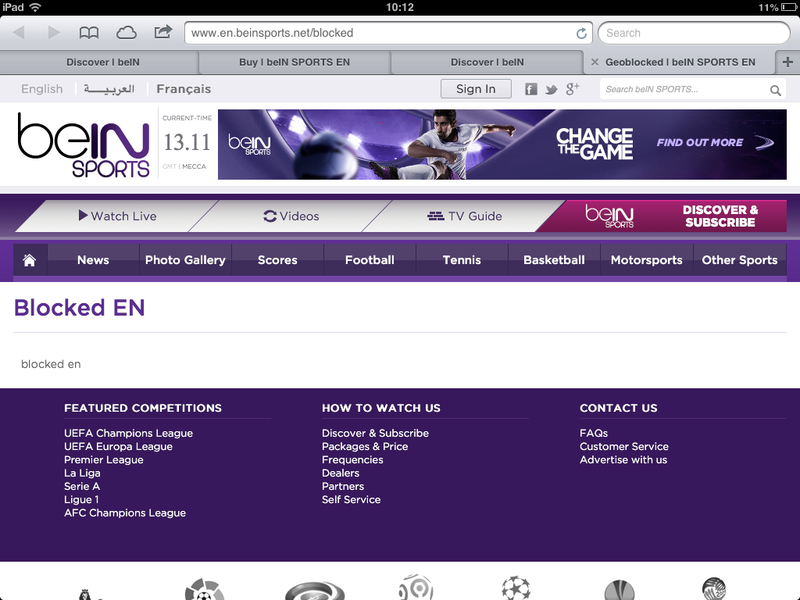 So first things first: The New BeIN Sports MENA site can be found (in English) but there are French and arabic options available on the front page of their site. 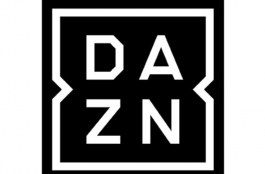 This part of the website is available worldwide and only the Sign up sections and actual content (excluding Al Jazeera Sports News) are geo locked to the middle east (and some african countries). So you should now be on the homepage. Click the Discover and Subscribe Button. 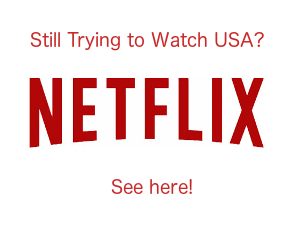 Make sure you don’t accidentally go to the USA or French service to sign up! it should be obvious but hey, you never know! If you don’t have a VPN Service you will be greeted with an error message about being in an unsupported area. BLOCKED = FAIL! Once your VPN is turned on ( I personally use an Egyptian Server if you need some inspiration) we can proceed. Now you should consider when you actually sign up. If you sign up in the summer then annual will be best, if you sign up in January then perhaps monthly would be better. Once you have chose your package, just complete the form. You must use a valid email address. With regard to the method of payment, its really just a matter of personal choice,and it appears a bit of luck may be needed in terms of selecting a non locally issued card that is ultimately accepted. Users. Entropy should work, but users have reported UK issued credit and debit cards also working. Once the form is complete you choose your method of payment confirm and thats it!! All done!. Enjoy your new subscription to a seriously good value sports package!! this doesn’t just show football it shows all sports across regular and high definition channels. 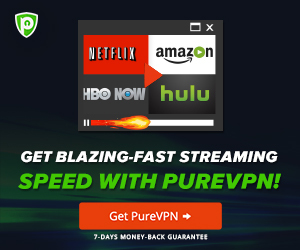 Here is the list of VPN providers again. They all have their own benefits so see which one suits you best. I have used all of them so they are personally recommended. There are other providers out there, but I have not tried them.